One of the most beautiful regions of Ladakh, the Suru valley forms the mainstay of the Kargil district. Lying nestled along the north eastern foothill of the great Himalayan wall, it extend from Kargil town, first southward for a length of about 75 km upto the expand around Panikhar, then eastward for another stretch of nearly 65 km upto the foot of the Penzila water shed where the Suru River rises.The upper reaches of the valley present a spectacle of breathtaking features-majestic mountain ramparts crowned by snow-caped peaks, undulating alpine slopes drawing into wild mountain streams of foaming saccades of pristine water, awesome glaciers descending along the Himalayan slopes to the river bed. The region around Panikhar and further up is a veritable valley of flowers with hundreds of varieties of wild plants blossoming to spread a riot of colors during the month of June and July. The beauty of this region is further enhanced by the sheer contrast provided by the towering peaks of Nun and Kun, which loom over the skyline in their crystalline majesty. 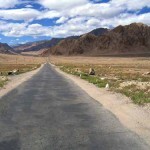 Road: Sankoo, Panikhar and Parkachik are connected with Kargil by regular bus services, in summer even twice a day. The bus ride from Kargil takes 2 hours to Sankoo, 3 hours to Panikhar and about 4 hours to Parkachik. Rangdum is serviced by the bi-weekly bus service to Padum. Some trucks plying between Kargil and Padum also offer a lift in the cabin for the price of a bus seat. Cars and jeeps taxis can be hired from Kargil for visiting different places in the Suru valley. Sankoo : A picturesque expanse surrounded by colorful Rocky Mountains, Sankoo is an upcoming township with a small bazaar is situated 42 km south of Kargil. Dense plantation of poplars, willows, and wild roses fill the bowl-shaped valley. 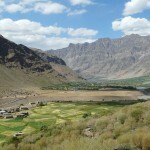 Two side valleys drained by large tributary stream of the Suru Valley. Sankoo is very popular among local picnic lovers who throng the area from Kargil town and other places. 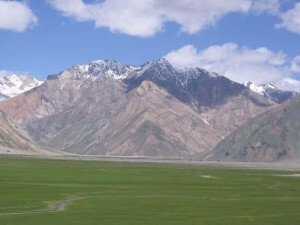 Panikhar: Panikhar is situated 67 km south of Kargil. Panikhar lies spread under the shadows of the Nun-Kun massif. Panikhar comprises a series of intensively cultivated plateau descending in level steps from the Himalayan foothill to the bed of the Suru River. During summer the area is converted into a veritable valley of flower. Panikhar is the base station for under taking mountaineering expedition to the varies Himalayan Peaks surrounding the valley. 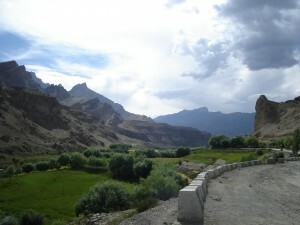 This entry was posted in Jammu & Kashmir, Suru Valley and tagged himalaya valley, india valley. Bookmark the permalink.